Similarly, God Rama is perceived to be the incarnation of Lord Vishnu. Lord Rama was sent to earth in the form of human being. Lord Rama was born as a son to the King of Ayodhya, Dasharatha and Queen Kaushalaya. He is the perfect example of an ideal man who was compassionate, honest, gentle, kind and righteous. The main reason behind the manifestation was to destroy demon - Ravana. Ravana was the demon King of Lanka who was empowered with mystical powers. Ravana was defeated by Lord Rama, reflecting the victory of good over evil. Ram Navami is one of the major festival for Hindus. It is observed to celebrate the birth and in honor of Lord Rama. His teachings on how to live life in accordance to ‘Dharma’ is hugely appreciated and followed. His victory over Ravana also sets a perfect example for victory over Adharma. Rama Navami is celebrated in a variety of ways at different regions. People usually take a bath in the morning and worship Lord Rama at home or visit temples. Others enjoy it by taking fast and attending bhajan program and pujas. Lord Rama had said it himself that the one who chants my name (Rama) will attain purity, peace and wisdom. Rama Nama is one of the prominent mantra chanted by people. It gives a deep sense of relaxation to the human mind. On 2019, Rama Navami is on Saturday i.e. 13th of April. In Nepal, people throng the temple of Rama and other shrines across the country to observe the festival. In Kathmandu, the famous temple of God Rama is located at Battisputali. Ram Navami is celebrated with much pomp and fervour at Janakpur. One of the oldest and famous temples, dedicated to Lord Ram, aptly named Ram Mandir is located at Janakpur. 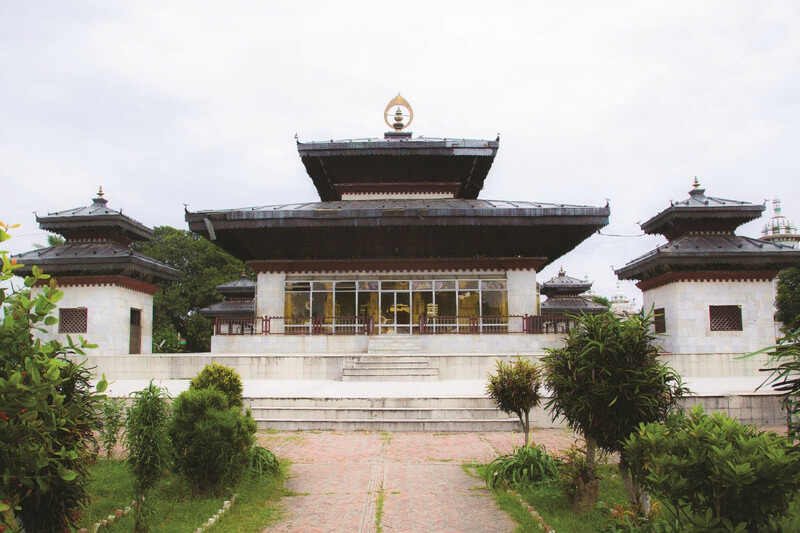 The temple was built by Amar Singh Thapa during the early 1700s and still stands today. It is no surprise that Ram Mandir is flocked by many pilgrims to celebrate Ram Navami. There is an interesting story attached to Lord Ram and Janakpur. Buddha Air also provides tour packages to Janakpur through its subsidiary company Buddha Holidays. So, if you're in Nepal during Ram Navami, be sure to attend this festival.